Sri Lanka’s first International Food Court, the joint venture between Abans Group in collaboration with the Silver Needle Hospitality in Singapore will be opened on December 17 at Colombo City Centre (CCC). Situated along the scenic belt of the Beira Lake and located on the third floor of Colombo City Centre, the Food Court is expected to provide international cuisines such as Italian, Thai, Vietnamese, Chinese, Japanese and Korean. The Colombo Food Court Concept is a brain child of Lim Tai Toon, a Singaporean business tycoon is also the Co-founder of ‘Food Republic’, an internationally renowned hotel chain that owns numerous restaurant and food courts across the Asian region countries including in Thailand, Lavos, Thaiwan and in China. The Food Republic also operates Food courts in Australia. 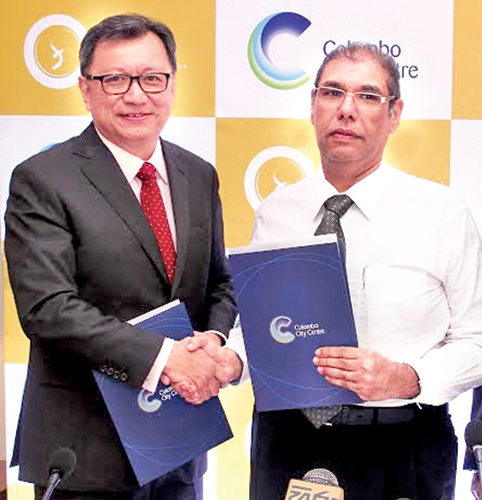 The agreement of the joint venture Food Court which has over 400 seating capacity was ceremonially signed in Colombo by Abans Group Director Rusi Pestonjee on behalf of CCC and Chairman , Food Studio Lim Tai Toon. Speaking at the signing ceremony, Lim Tai Toon highlighted that the Food Court will provide Sri Lankans as well as foreign visitors travelling in the country the opportunity to undertake a long –deserved culinary journey around the world by exploring the unique, rich and authentic flavors. He said the aim of the new concept is to introduce a unique food court concept in Sri Lanka by offering a vast array of diverse eclectic cuisines from fine dining to street style food. Commenting further on the benefits of food court, Toon said food courts in Sri Lanka in the past fulfilled a basic need to simply satisfy one’s hunger. He said people typically go in , eat quickly and leave and therefore wish to provide authentic international cuisne that makes dining at food studio a memorable out-of-home family time. Abans, Director Rusi Pestonjee highly valued the food court concept in ther country and said the Food Court will introduce verities of internationally quality food and beverages. He further said it was also happy to see this Food Court in the heart of Colombo at a time a vast development could be seen in the city. CCC, Chief Executive Officer Anand Sundaram further remarked that CCC is a 47-storied mall and have 164 hotel rooms and 192 residential apartments . 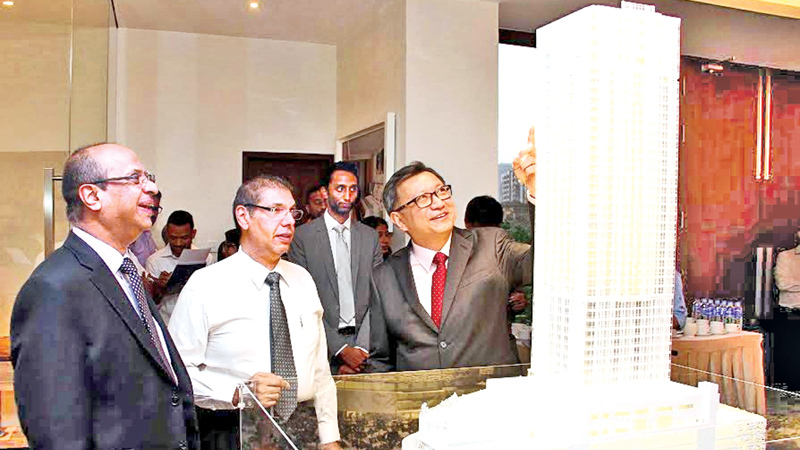 He further highlighted that their endeavour is to redefine and uplift the standards of urban luxiary living in Sri Lanka and said this venture will provide residents the opportunity to partake in a truly enriching , high-end lifestyle with a residential complex. “The mall also offers a premium shopping experience , fine dining, a supermarket and children’s play area,” he said.